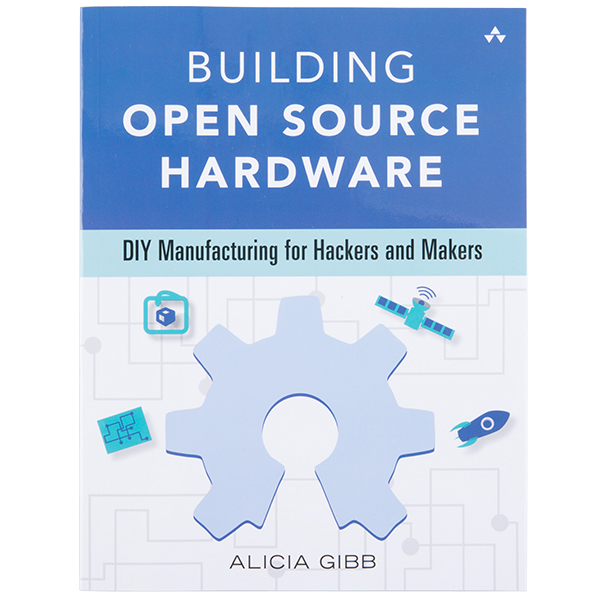 This is the first hands-on guide to the entire process of designing and manufacturing open source hardware. Drawing on extensive personal experience with DIY, maker, and hardware hacking projects, industry-leading contributors share proven approaches to design, fabrication, manufacturing, troubleshooting, licensing, documentation, and running an open source hardware business. Part I covers the emergence and evolution of open source hardware, what open source hardware licenses mean, and the growing role of standards in making hardware more open. 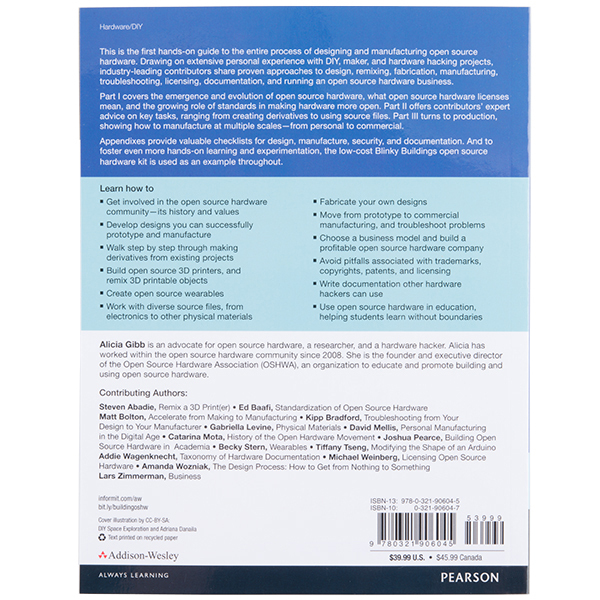 Part II offers expert advice from author contributors on key tasks, ranging from creating derivatives to using source files. Part III turns to production, showing how to manufacture at multiple scales - from personal to commercial. Appendixes provide valuable checklists for design, manufacture, security, and documentation. And to foster even more hands-on learning and experimentation, the low-cost Blinky Buildings open sources hardware kit is used as an example throughout. Get involved in the open source hardware community - its history and values. Develop designs you can successfully prototype and manufacture. Walk step by step through making derivatives from existing projects. Build open source 3D printers, and remix 3D printable objects. Work with diverse source files, from electronics to other physical materials. Move from prototype to commercial manufacturing, and troubleshoot problems. Choose a business model and build a profitable open source hardware company. Avoid pitfalls associated with trademarks, copyrights, patents, and licensing. Write documentation other hardware hackers can use. Use open source hardware in education, helping students learn without boundaries. Sample pages from the book are available here. I've been going back and forth on starting a hardware company for the past year. This book had some amazing insights that I haven't been able to gather anywhere else.